Sah D’Simone is a meditation teacher, author, transformational speaker and coach. Born in Brazil, Sah came to the U.S. at the age of 16, working for over a decade in the fashion industry, becoming the co-founder and creative director of Bullett Magazine. Despite his immense success, the high stakes culture of the fashion industry led Sah down a path of addiction and depression, eventually opening the doorway to a different way of life. In 2012, he walked away from his career in fashion and began an intensive search for health and well-being, traveling to Nepal, India, Thailand, Indonesia and Europe to study with some of the most prolific masters of our time. 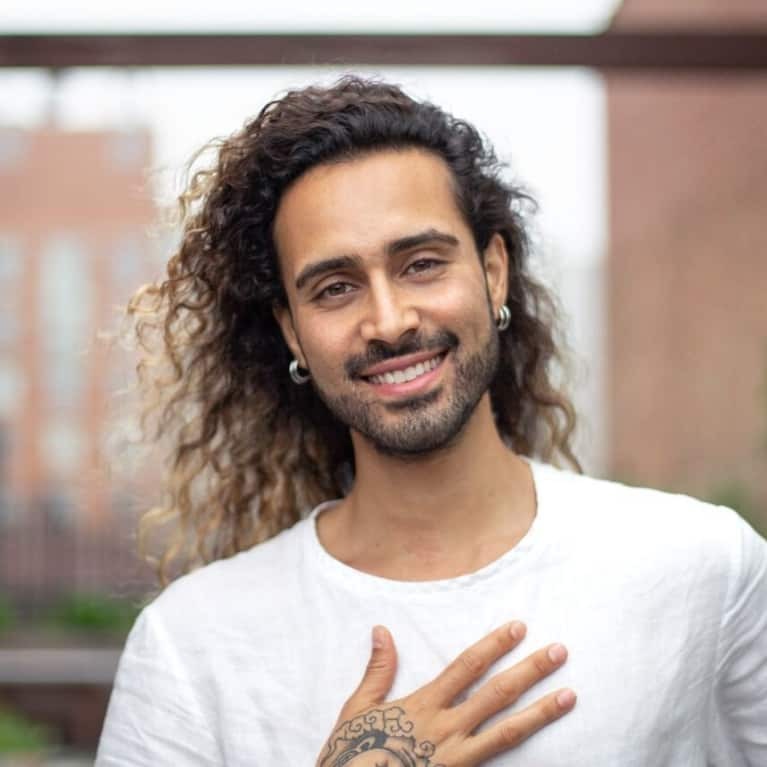 After immersing himself in practice for several years, Sah returned to the states, dedicating his life to helping others to live in alignment and achieve their highest potential. Sah has masterfully synthesized the ancient techniques of meditation, contemplative psychotherapy, breath work, and plant based nutrition for a modern and accessible approach to well-being. His infectious enthusiasm for healing and self-love has built a devoted fan base, with a client list that includes Google, MoMa, American Express, the United Nations, New Balance, Bloomingdales, and Havas. Sah also shares his mission with underserved communities, advocating for mental health and well-being in the LGBTIQ and POC communities.